Charlie Lane is able to provide Health & Safety advice to any equestrian enterprise, including private yards, riding schools, racing yards, horse shows and other equestrian competition venues. 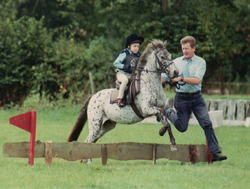 He will prepare Risk Assessments and Health & Safety Policies in conjunction with yard owners/managers and with organisers of equestrian competitions. Private horse owner running small competition yard and breeding enterprise.